What's Poppin' Tonight! 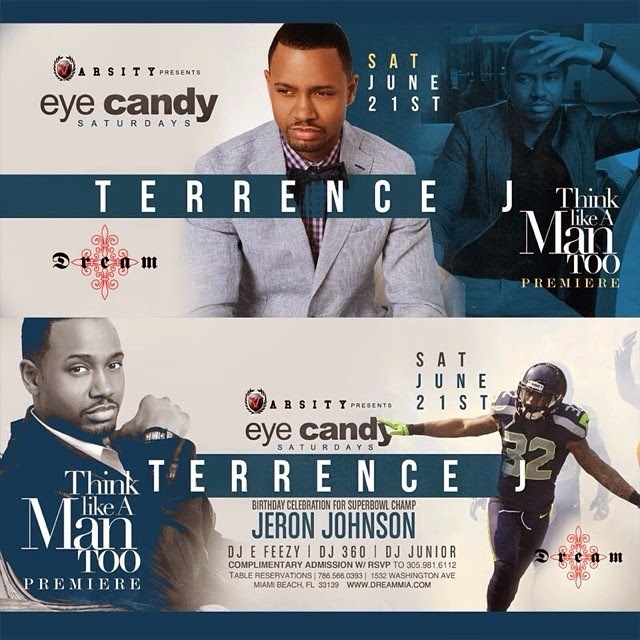 Eye Candy Saturdays Hosted by Terrence J ‘Think Like A Man 2’ Premiere + More at Dream Nightclub ~ Phresh Hott New! Join us at Dream Nightclub as Varsity LG presents Eye Candy Saturdays as Actor Terrence J Hosts ‘Think Like A Man 2’ Premiere + Birthday Celebration for SuperBowl Champ Jeron Johnson + More at Dream Nightclub.